The largest slaughterhouse in Sichuan has been killing dogs for over 10 years. Local animal lovers found the location and called for help. Several hundred volunteers swarmed the premises to demand justice. Police arrived on the scene and called for immediate backup. The Mayor and Head of Police arrived to try and calm the situation as more volunteers kept arriving. Inside this slaughterhouse known as Jianyang, police uncovered a mountain of over 2,000 frozen dog carcasses piled up ready for sale. Dark dungeons held 171 terrified live dogs, waiting to be killed. With mounting pressure from volunteers police arrested the slaughterhouse owner. He was led away as volunteers videoed and taunted him. 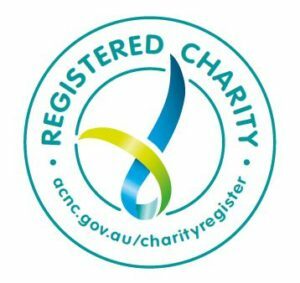 When police uncovered over 2,000 slaughtered dog carcasses, the owner was unable to produce certificates of origin for any of the dogs; dead or alive. With pressure from several hundred furious volunteers police arrested the owner and took him into custody. Video: not graphic. Police arresting the slaughterhouse owner. See him viciously lash out at volunteers as he’s being led away by police. Video: Viewer discretion advised. Footage shows over 2,000 already slaughtered dog carcasses piled up for sale. Maybe upsetting for some viewers. Video: viewer discretion advised. 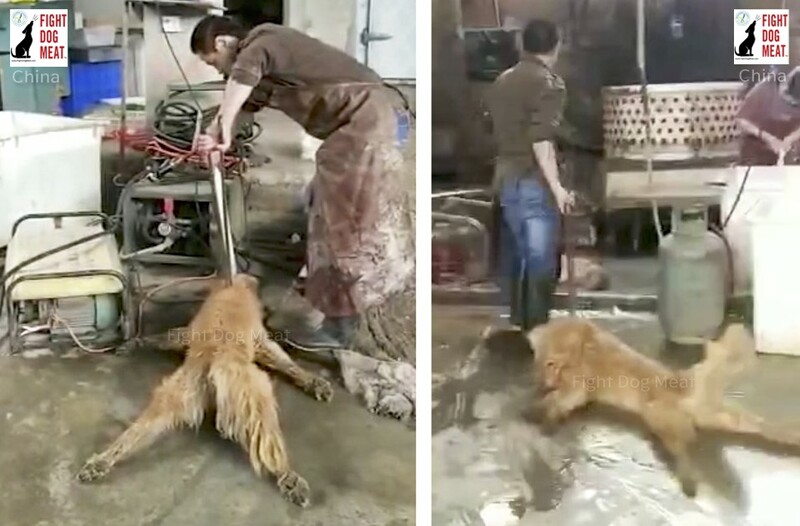 Footage shows a Golden Retriever being electrocuted by a butcher inside the slaughterhouse. May be upsetting to some viewers. Video: footage shows dogs being rescued and removed from inside the slaughterhouse. Sadly, many dogs are heavily traumatized. Video: footage shows local volunteers gathering at the slaughterhouse, as the Mayor and Head of Police arrive to try and calm the situation. Video: some of the rescued 171 dogs from the slaughterhouse. The dogs are now safe inside a local animal rescue shelter. A group of volunteers stayed on at the slaughterhouse all night, sleeping outside the door entrance to prevent anyone entering the building. This story is still in progress and we’ll update our article when more information becomes available. Fight Dog Meat is working to try and help local animal lovers to bring in animal protection laws and end the brutal dog and cat meat trade. The world needs to know what is happening to innocent animals at the hands of monsters who blend into society. Thank God these people helped save these poor animals I hope they take that slaughterhouse owner and put him in prison and throw away the key. He needs to be mentally evaluated something is seriously wrong with him. Stop killing innocent animals they were not put on this earth to be abused killed an eaten !!!! Make this illegal in this world ! This is heartless , cruel an murder !!!! !